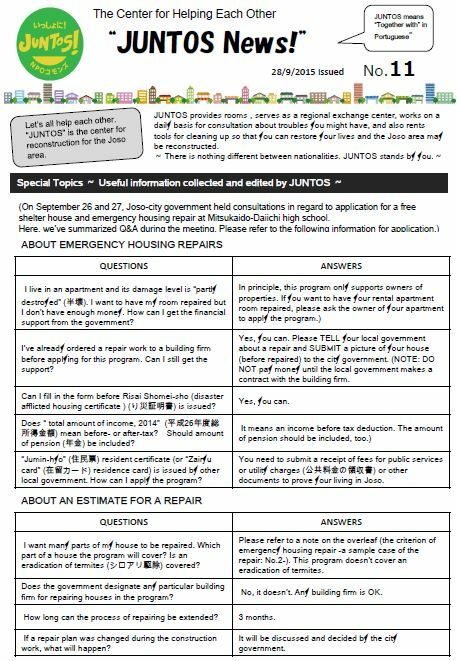 Newsletter "Juntos (together)" Vol.11 of flood-hit Joso community just published! HOME >> トピックス >> Newsletter "Juntos (together)" Vol.11 of flood-hit Joso community just published! Click here to download Newsletter "Juntos" Vol.11 (PDF:508KB)!